5% of people are financially independent and 95% are not. The question is how can you belong to the 5%? If you do what everybody does, you will get what everybody has. 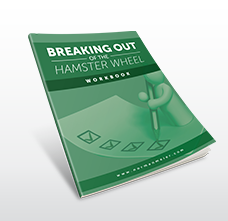 The problem with most people is that they fall into the hamster wheel trap. Like a hamster they are spinning their wheels. Whatever you earn, goes out in bills and at the end of the month there is nothing left. You are far from being financially independent. You created your own prison and you are stuck in a job because you can’t stop having an income, otherwise you would be in trouble. 85% of people have to force themselves out of bed every morning to go to a job that they hate. Like most people I was exactly in this position at one point in my life. I asked myself if that was all that life had to offer. I knew I wanted more money. But I didn’t want to work in my existing job anymore. Most people have only one reality in their heads when it comes to making money and that is how to get a better job or how to get promoted. Most people feel like they are prisoners of their own life and even though they seem to make good money they have no other option to change their lives. I call this “the golden handcuffs”. Then I started to think differently and discovered how I could change my life. I realized that working for someone else would never change my financial situation. The only way to get to a different financial level was to have my own business. Do you ever wonder how regular people become millionaires? What is the secret that makes all the difference? Is it just luck or is there a specific knowledge that some people have figured out while others are still struggling financially? When I first discovered why I was financially struggling and what the difference was, my whole life changed. The knowledge that I received was so enlightening and obvious and it all made perfect sense to me. Of course, there is still the work that needs to be done. But knowing what I now know has forever changed my financial life. This program will open your eyes and teach you how to be financially successful. Why should you listen to me? What is in it for you? This program has the power to change your life forever. Norman became a self-made millionaire in only 2 ½ years. He built a company that was valued at over $300 million in the stock market, earned over $100,000 per month, raised over $400 million from private investors and $600 million from institutional investors and achieved many other things that most people only dream about. He started and built several businesses from the ground up and raised millions of dollars for his business ideas and start-ups. In this program he will teach you his secrets of success, his mental attitude and knowledge so that you can life the life that you have always dreamed about. You will learn how to start your own business and how to make it successful so that you can live the life that you have always dreamed about. In this program I will teach you my secrets, my knowledge and mental attitude so you can do the same if you want. I will help you to find the business that is right for you, how to make it work like no one has shown you before. In this simple and practical program you will learn step by step how to build a business, get business ideas and how to change your life forever. Learn to earn money with your own power and get rid of your JOB (Just Over Broke). This program is about business and financial success. It is a series of eight different programs that explain how you can start your own business and become financially successful. The program is written in an easy to understand manner and explains step-by-step how to change your financial life. For who is this program? This program is the basis for your future success as an entrepreneur. In this program you will find hundreds of ideas and ways for you to make money. It will not only inspire you to find the business that is right for you but also how to develop the mindset necessary to make it a reality. How can this help me in my life? What do I get in detail? 1 Workbook with lots of questions and summaries to help you better understand the material. As a 22-year veteran in the financial services industry, having owned and operated my own successful investment practice during over 20 years of that time, I know how easy it is to become complacent. Over the past two decades, Ihave learned that you can’t stay on the top of your game by resting on the laurels of modest achievements, but must constantly reach for more knowledge and voraciously seek input and support that will enable you to meet (or exceed) your goals. I met Norman Meier back in 2006 when my book of business was fairly strong and was growing at a modest clip. I was very happy with where I was at financially and I actually didn’t see the need for a whole lot of improvement. My income was strong and my business was growing at a decent pace. In fact, my business growth was meeting my own personal expectations, so I was quite oblivious to the need to do anything outside of what I was doing at the time. Interestingly, right around this time and only a year before the big financial crisis that began in mid-2007, I met Norman through a client of mine and he introduced me to some pretty extraordinary programs that would forever change my business. In mid-2006, I began working with Mr. Meier on some strategic sales strategy ideas he had and he helped me develop better leadership, which were turned out to be extremely effective. In fact, I was amazed to watch my revenues triple and the number of employees working for my firm go from 30 to 186 employees over the next 5 years! Regardless of how successful you currently are, there is always room for improvement and growth. I am no longer complacent and am now hyper-focused thanks to Norman Meier’s guidance and programs.Very interesting. So how much is all this knowledge worth? The specific knowledge that I will teach you in this program cannot be bought anywhere else or learned in books. It is so unique that the only way that you can get it is through an actual learning experience. It has cost me years of my life, lots of energy, sweat and blood to get to that point. 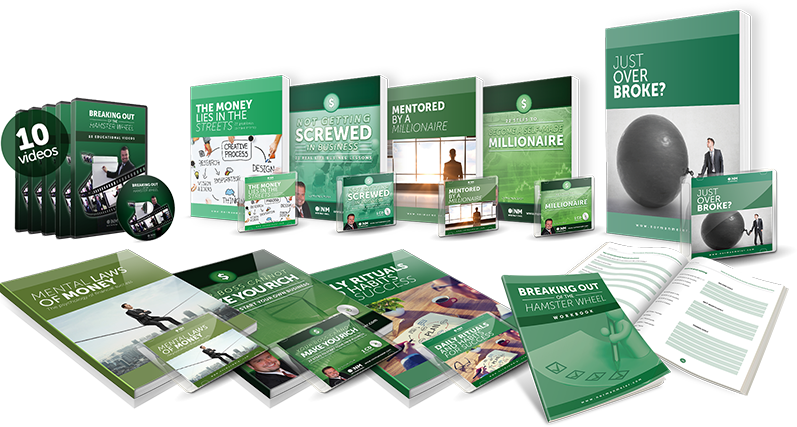 I am giving away everything that I have learned to become a millionaire and exactly how I did it for an unbelievable low price. I have decided to give my knowledge to the world and make it affordable for everyone. Today, you can get it for only $29. I believe that it is now time for others to be encouraged and to live the lives of their dreams. I am convinced that my program will change your life and your financial future. So isn't it time for you to live the life that you deserve? Isn't it time to take control of your life and finances? Isn’t it finally time for you to be all you can be? If yes, then get the program and learn. I promise you will not regret it! What are you waiting for? © 2019 NM International. All Rights Reserved.